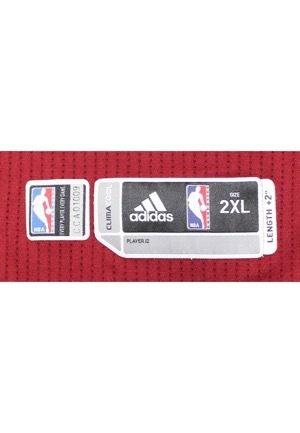 On the front left tail is the Adidas manufacturer’s tag with size “2XL” and “CLIMACOOL” on it. Attached is a flag tag that reads, “LENGTH +2””. 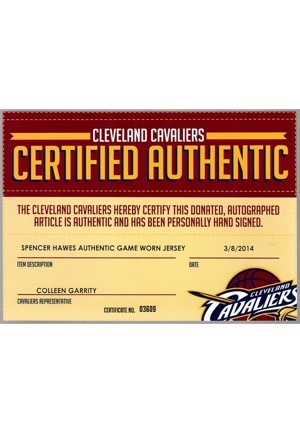 Adjacent to the tag is a “NBA AUTHENTICS” tag serial number “CCA01009”. On the left inseam are two tags, one with jersey materials and washing instructions and an additional Adidas tag. In the rear collar is a flag tag that reads “MADE IN THAILAND 2XL2”. Across the rear collar reads “All for one. One for all.” On the upper left chest is the official “NBA” logo embroidered and on the upper right chest is the “Z11” patch honoring Zydrunas Ilgauskas. Across the chest reads “CLEVELAND” in gold tackle twill. 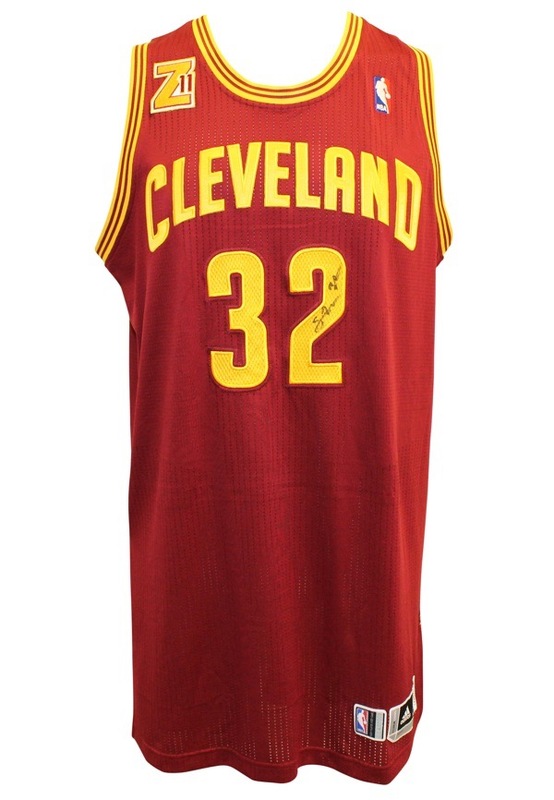 Adjacent below and on the back is the player number “32” in gold mesh on gold on wine colored tackle twill. 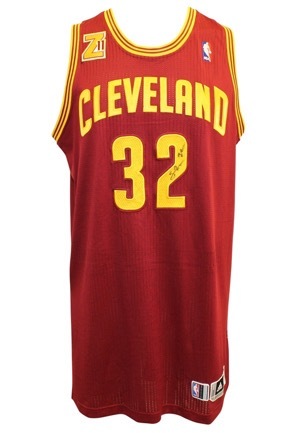 On the back below the collar is the Cavaliers team patch. 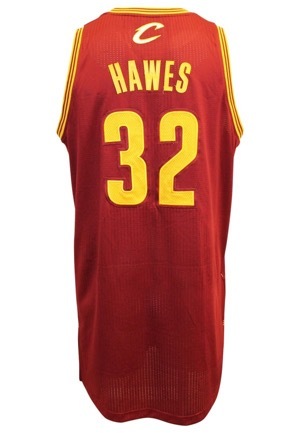 Across the back reads player name “HAWES” done in gold tackle twill. 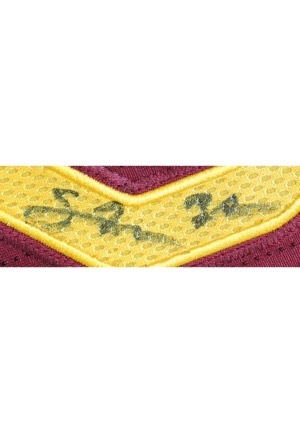 Hawes signed the front of the jersey inside the player number and in our opinion the signature rates a 7. This jersey is properly tagged, was presented to us as game-used and in our opinion shows appropriate use. Accompanied by a LOA from JSA and a Cavaliers LOA.